Maybe all the waiters at Locanda Verde are trained in the art of food recommendations. We had already decided on the spumoni when somehow he convinced us to add the rhubarb upside-down cake. Again, he was right! 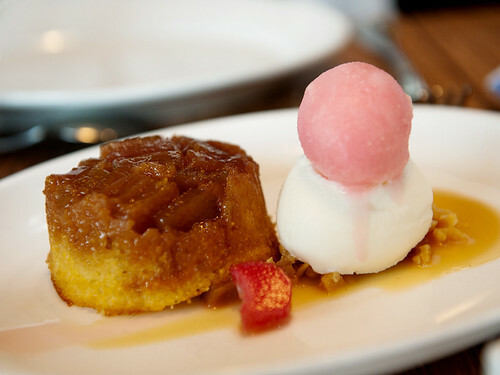 We're partial to rhubarb desserts anyway but this one was especially nice. If I hadn't already stuffed my face five plates earlier, I would have kept eating.